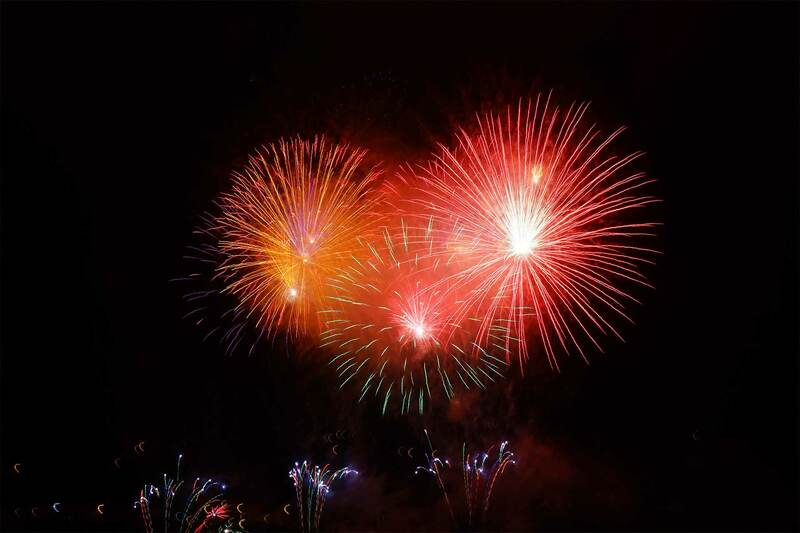 A short and truly spectacular firework send off display offering a colourful and varied display of fireworks culminating in an almighty finish. 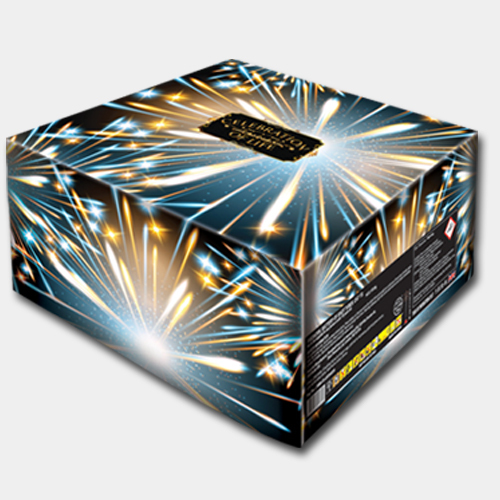 A spectacular mix of colour and effects to truly celebrate a life in fireworks and make a long lasting and 'touching tribute' for your loved one. A magnificent display that builds and builds creating a sky filling display of colours and effects across the heavens leaving a lasting memory to all those present. 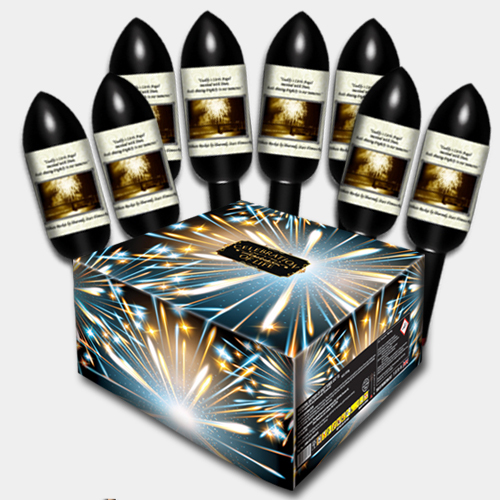 A sensational display fired electronically for split second timing and incorporating large aerial shell bursts, roman candles, multi shot barrages and mines to create the “Ultimate send off” for your loved one. A popular mini display containing four big bursting ashes tribute rockets and a stunning celebration of life multi shot barrage. Designed to our own specification and combining together to incorporate 400 grams of your loved ones ashes. Each rocket will reach a staggering height of over 200 feet before bursting into huge breaks of purple coconut, crackling flower, blue peony and gold willow. Our Celebration of Life barrages producing a stunning array of coloured peonies, crackling dragon eggs and coloured chrysanthemum bouquets with a long lasting duration and offering a saving of £55.00 on buying separately. Building upon the spectacular Remembrance display package, the legacy contains a total of eight spectacular ashes rockets and the stunning celebration of life firework barrage combining 600 grams of your loved one to send off into the skies, with a saving of £100.00 off individual items. A spectacular multi-shot memorial firework barrage made to our own specification offering a variety of beautiful effects such as crackling dragons eggs and coloured peonies to scattering your loved ones ashes at over 100 feet, with a long duration this tribute fireworks offers a memorable send off. The Celebration of Life Ashes Firework will disperse approximately 200 grams of your loved one's ashes. 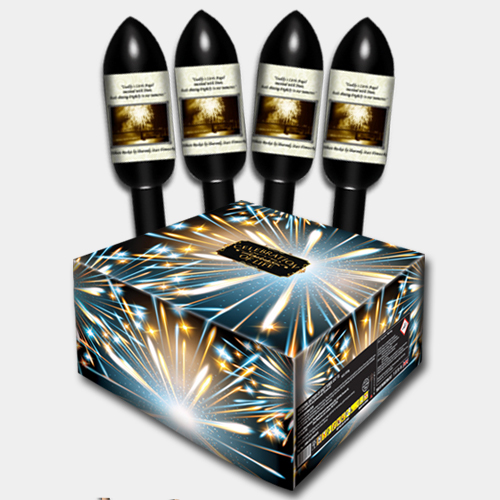 A pack of four stunning big effect rockets with each one scattering approximately 50 grams (200 grams total) of your loved one high into the skies reaching over 200 feet with beautiful effects including purple coconut, crackling flower and gold willows. 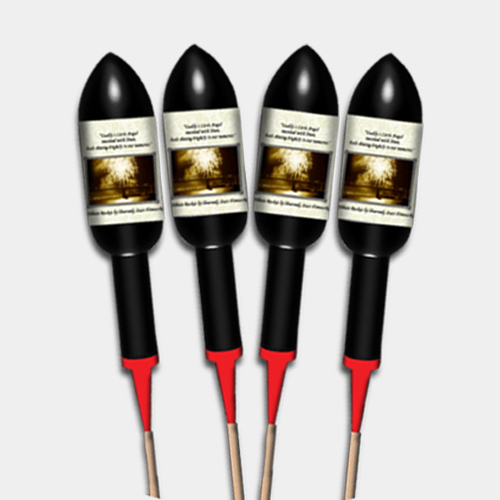 With their large burst these rockets will send your loved one off with a bang. © 2017 Heavenly Stars Fireworks. All Rights Reserved. Registered no: 6118933.